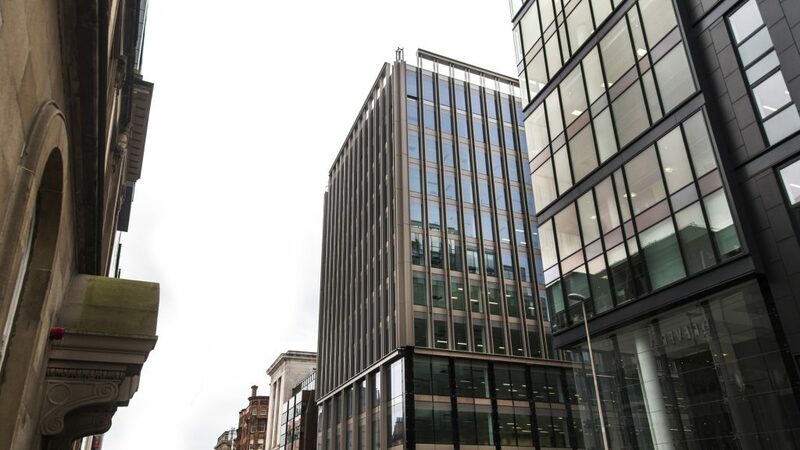 The design of a new tall office building on the site of a historic Glasgow Cinema adjacent to a main network rail tunnel was the task the design team faced when they embarked on this successful project for Mountgrange. 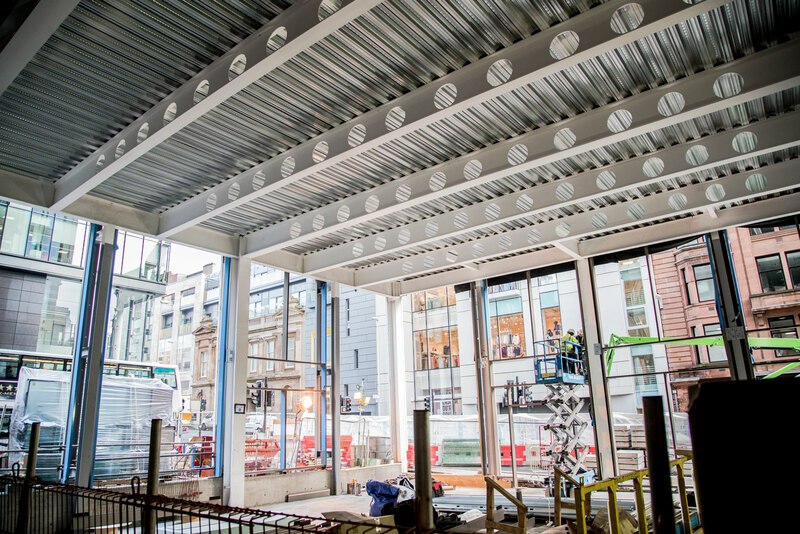 We provided civil and structural engineering design on this award-winning project which is located at number one West Regent Street in the heart of Glasgow. 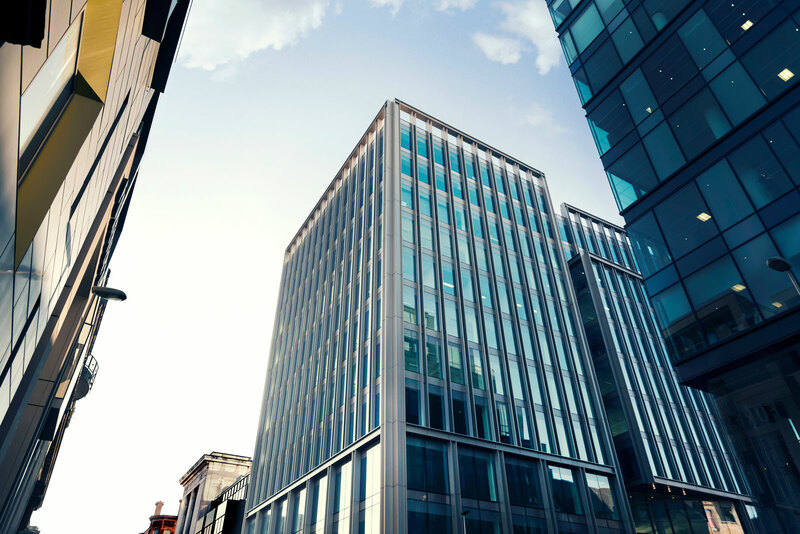 The ten-storey building provides 143,000 square feet of Grade ‘A’ office space in an open plan layout to provide maximum flexibility for the tenants. The project involved the demolition of the old cinema hall to make way for the new 10-storey office scheme with the 1930’s original Art Deco style façade and entrance hallway to the cinema were retained. We worked closely with Ryder Architecture to create the internal floor layouts which included 17.25m clear span floor plates with minimum internal columns to give maximum flexibility for tenants. The new building clad, in floor to ceiling glazing, abuts a shallow main line network rail tunnel. We held detailed negotiations with Network Rail to agree an economic solution to allow the building basement and piling to be constructed within the influence zone of the tunnel. The building structure comprises of a steel frame with long span floor beams with the service and structural zones integrated to create an efficient floor zone. The building stability is via a reinforced concrete core which was slipped formed, the lift shaft was also used as the lift shaft for the tower crane.